Growing up, I was pretty lucky in many ways. Some may have seen it as a disadvantage that my parents were in their early 40’s by the time I was born. There were however, unique benefits that came with having older parents and one of them was having many aunts and uncles that were, in many cases, old enough to be my grandparents. Thus, I had a handful of surrogate grandparents, really my aunts and uncles. Many us have a favorite aunt or uncle. Admittedly, I had a few of each – not the least of which was my aunt Marion. These were her cookies. As my cousin noted in her email of the recipe, my aunt did not include the amount of flour she used to make her cookies. Initially, I assumed she had forgotten that minor detail but after giving it some thought, I decided maybe not. To her and her method of making things in the kitchen, it could have been very likely that making note of the exact measurement of flour for a cookie recipe was indeed minor. Could it be that she added enough flour to attain a consistency in the dough that was just right for the cookies? I’m going with that guess. I did not use lard for this recreation of my aunt’s cookies, only because I didn’t have access to the real thing. Lard that is sold in most grocery stores is indeed not the “real thing.” Well, to an extend it is, I suppose. It’s the real thing, with the addition of trans fats (via the hydrogenation process) to lend stability, pasteurization, ultra-filtration, and heaven only knows what other processes that leave a horribly unhealthy product with only the same name as what my aunt used way back when. 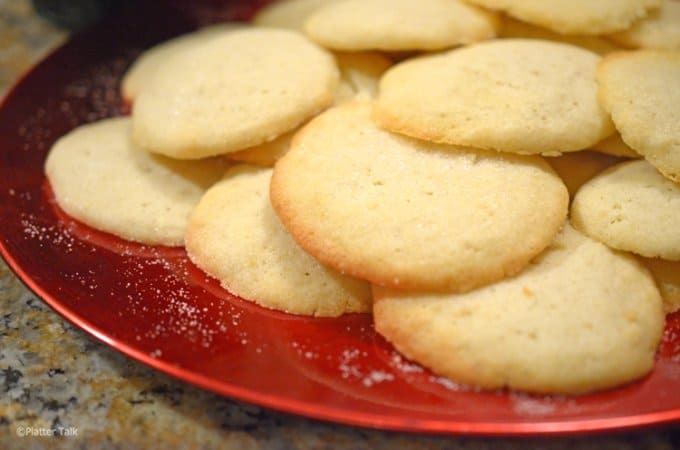 These cookies are super simple to make and they have a soft, almost pillowy bite and texture. For me, their flavor and texture and indeed everything about them was enhanced knowing from where they came. While I was putting them together, memories of my aunt Marion flooded my mind. Gone nearly 40 years now, I’ll have those memories and a few photos of her forever. Now, thanks to Florine, I have these cookies too. I would have loved for you to have met my aunt Marion, these cookies are just a tiny bit of her. 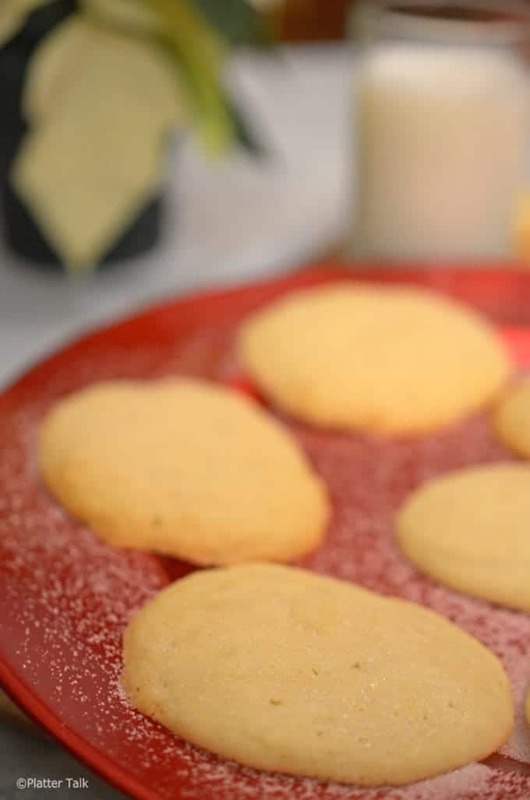 Looking for a great icing recipe for sugar cookies? 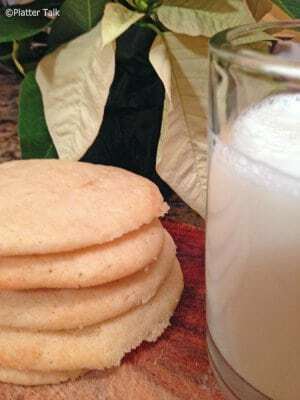 Find out here: Easy Royal Icing Recipe for Sugar Cookies. In large mixing bowl, cream sugar and butter, use hand mixer if necessary. For sour milk, add vinegar to measuring cup, fill with milk. Add this along with beaten egg to sugar mixture and stir vigorously until well mixed. 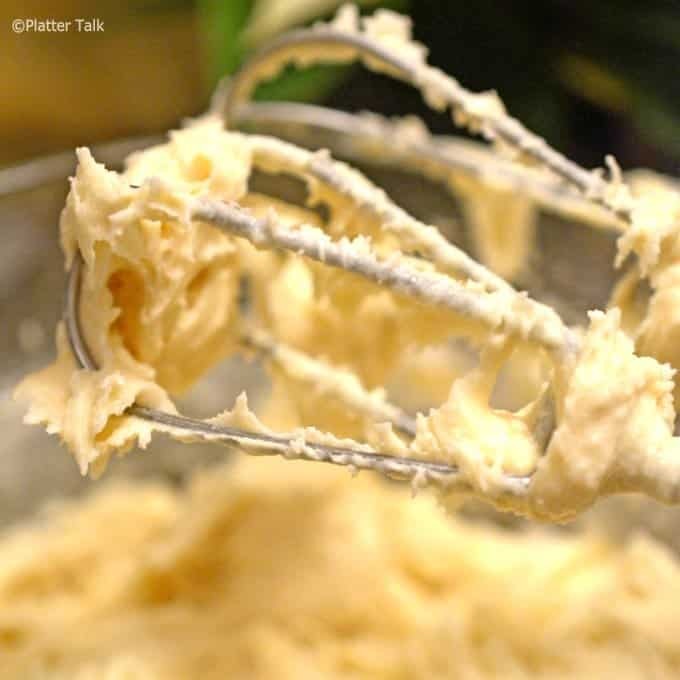 Incorporate dry ingredients, using hand mixer, until thoroughly combined. Bake 18-20 minutes until firm and pale yellow in appearance. Enjoy with cold glass of milk and give pause to remember the special people from your life. YAY!!! 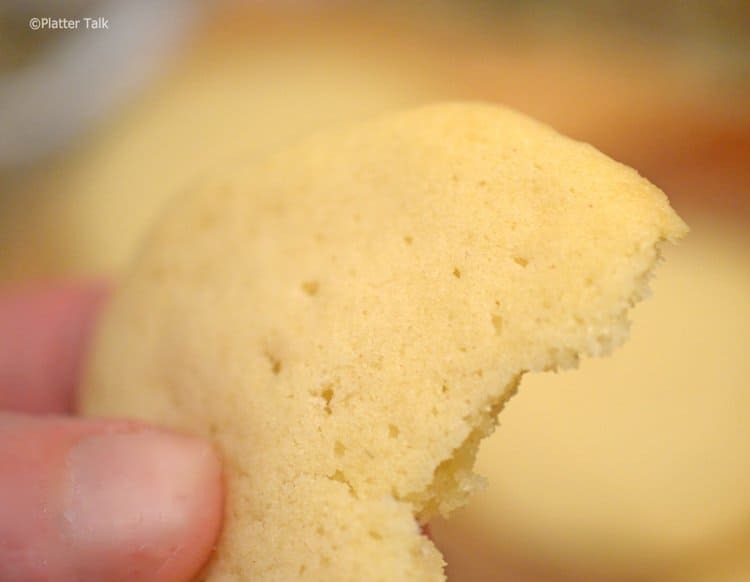 When I was young we made a similar cookie called “Amish Sugar Cookies”. 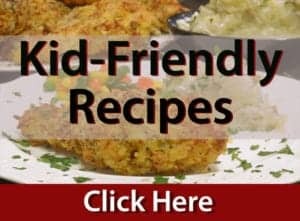 I had not been able to find a recipe that came close until this. These were great, and just like I remember, simple and delicious! So lovely how food can link us to great memories. Thanks for the lovely comments. My mom and her siblings were raised in the Amish-Mennonite faith. 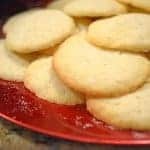 There is a high likelihood that this may be the same sugar cookies recipe that you enjoyed way back when. 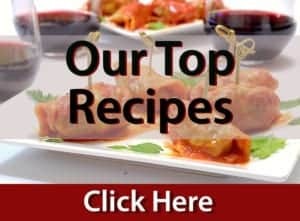 Could you please include the amount of flour in the recipe? Martha, You’ll find that information at the full recipe at the bottom of the post. Thanks so much for reading Platter Talk! The flavor in these is so elegantly simple it’s hard to resist. The only trouble I had was when using the teaspoon of batter per cookie…lets just say I stopped counting at 8 dozen and doubled up for the last dozen and a half. My husband and son loved them and I’m not going to lie I ate 6 with my evening tea but man that was a lot more than I expected! Fantastic, Cayla! I’m so happy you tried and enjoyed this recipe from my late aunt Marion. I know this would make her smile as well. Thanks so much for the comments! I love your recipe’s final direction to remember those special people. For sure, thanks so much for the comments! What a great story — I love family recipes and the hand-scrawled chicken scratch and cryptic measurements make these recipes even more endearing. I have a a book that my grandmother gave me with all of her favorite recipes written in her hand. I treasure it. For my daughter — well – she has the blog, right? Love that your family have shared memories and shared handed down recipes, even if they need a little deciphering first! 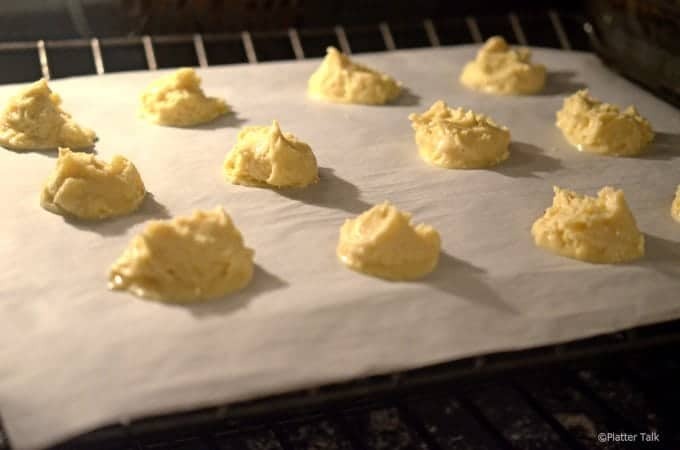 These cookies look so yummy – love that they are an old family recipe! All I need now is a glass of milk and I’m set! Following the baking directions, the cookies are soft. When I accidentally left them in too long, they were light brown and kind of crispy. My husband preferred the crispier cookies. Was looking for a recipe to use milk that was getting a bit blinky, off…as the English say. Came across your wonderful recipe. Since it was the Fourth of July I added cinnamon extract and a bit. Of five-spice powder. I am a WATKINS associate so I am always looking for ways to use my abundance of extracts and spices 🙂 These were sooooooo yummy…I couldn’t stop eating them and got raze reviews at the 4th picnic. Making them again this morning for a VBS event. Thank you for sharing!!!!! Thanks for the wonderful feedback, LeAnn. My favorite thing about this recipe is its source; a favorite aunt of mine. Thank you again for the kind comments! Are these sugar cookies supposed to be soft and cakey? Or did I do something wrong? Sounds like you made them perfectly, Susan! Thanks for the comment, Kimberly. Essentially, as described in the post, this recipe was left by my wonderful late aunt, who did not include directions that we are all accustomed to, today. Looking at the post, I baked these on parchment paper. Otherwise, I would hazard to guess they would do well on a greased cookie sheet. I hope you try these. They are as delicious as simple. And for me they are a treasured gift from my aunt Marion who was as beautiful a lady as any who ever breathed. 100% my type of cookie!!!! Delicious. You know, as much as I love baking all kinds of festive cookies at the holidays, there is just something about a plain and simple cookie like this one that is always alluring. Thank you for another fantastic recipe as well as sharing the lovely story about your aunt’s cookies. You really hit the nail on the head, with this comment. These are simple to the max, and every bit as delightful in taste. I appreciate hearing from you so much, as always. Thanks for reconstructing these and for the tribute to Nom. You’re awesome, Cuz! Mom, I meant to say. How great to read your comment, Sam. Happy holidays!! These sound great! What a wonderful story, too. Glad you were able to recreate them in memory of your Aunt! Thanks, Patricia. These are really wonderful cookies, better too for me because they were hers.